Thank you so much for your interest in subscribing to Nourishing My Scholar! -Weekly Nourishing My Scholar updates & highlighted posts about hands-on learning activities, read aloud suggestions, curriculum reviews, homeschool resources and seasonal book lists! 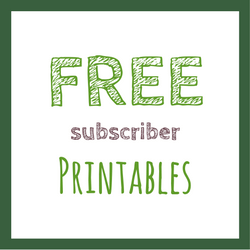 -Plus Subscriber’s Only Access to our growing list of Subscriber Bonus FREE PRINTABLES! Already A Subscriber? Click Below and enter the Password you received in your welcome email! I’ll also add the password to every email update you get from me, so you’ll be sure to have it. This password is changed seasonally.